Before the acclaim of Animal Farm and 1984, before gaining recognition as one of the twentieth century’s greatest and most influential authors, there was poverty. Squalid, extreme, bug-infested poverty. 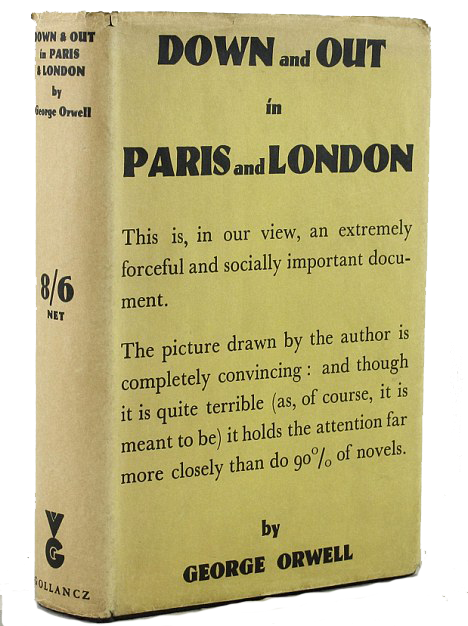 Down and Out in Paris and London, published in 1933, is George Orwell’s autobiographical account of life on the streets, searching for work, searching for food and a place to sleep, pawning clothes for a piece of bread, a cup of tea and a cigarette. His Paris was not the City of Lights, his London was not the height of British splendor. Success meant finding work in a grand hotel restaurant for just enough money to avoid starvation, working seven days a week, seventeen hours a day, standing in slop, serving the oblivious rich patrons on the other side of the kitchen door.who don’t realize that their food was just laying on the floor being picked at by vermin. took his experiences and learnings and moved on. 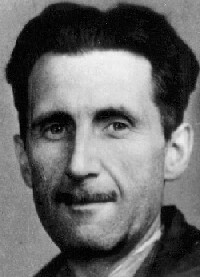 He is best known for the dystopian novel “Nineteen Eighty-Four” (published in 1949) and the satirical novella “Animal Farm” (1945)—they have together sold more copies than any two books by any other twentieth-century author. His 1938 book “Homage to Catalonia”, an account of his experiences as a volunteer on the Republican side during the Spanish Civil War, together with numerous essays on politics, literature, language, and culture, are widely acclaimed.